Fig. 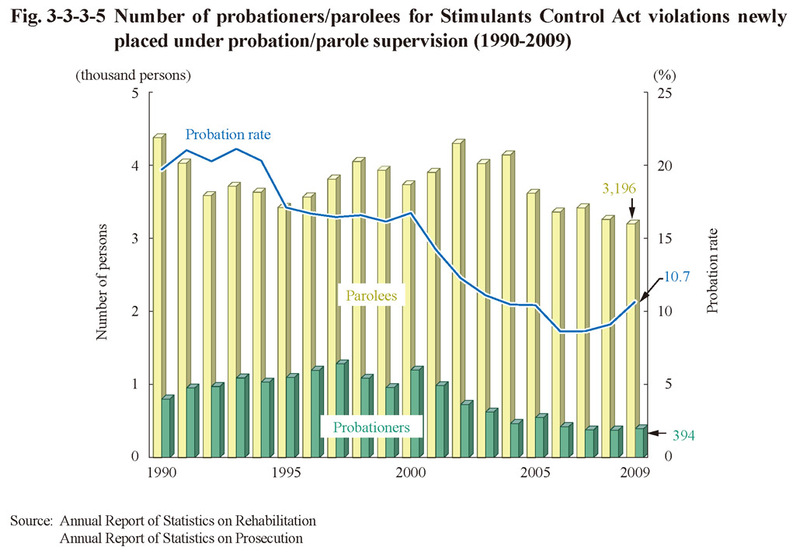 3-3-3-5 shows the number of probationers/parolees for Stimulants Control Act violations newly placed under probation/parole supervision over the last 20 years. The number has been on a decreasing trend since 2005 with parolees and since 2001 with probationers. 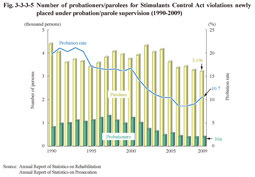 The probation rate for Stimulants Control Act violations was 19.7% in 1990 but has been on a decreasing trend and significantly decreased to 10.7% in 2009.